I somehow missed to publish Starbucks Been There Canada mug. By doing that I am finishing the Canadian BT series so far (hoping there will be more in the future). 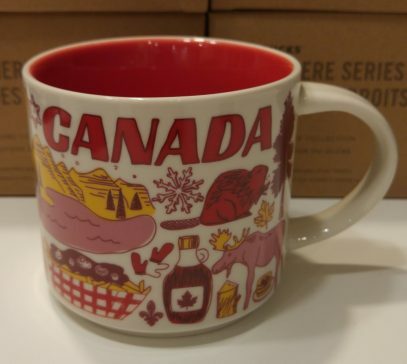 As for this particular mug, Starbucks has combined most of the cliches about Canada existing.